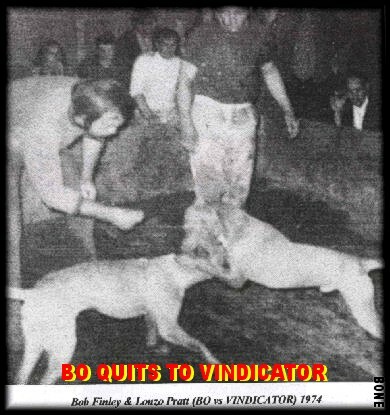 ~2XW Many who witnessed his matches said that he was a better dog than his brother Zebo. One of his Victories was over Finley's CH Bo in 1:52 Long haul. Vindicator died at the young age of 2 1/2 due to Heartworms.